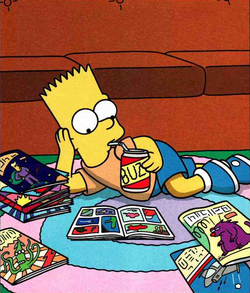 As traditions go, New Comic Book Day may be pretty minor, but it’s a special day for folks who read them. Each Wednesday of the month, thousands of us make a pilgrimage to our LCS (Local Comic Shop) for a short respite from our humdrum lives. We escape into absurd worlds where spandex heroes defeat evil, personal demons take metaphorical form, and humor usurps boredom. There are thousands of variations of these stories, there’s something for everyone in the comic shop. Sadly, though, by the end of October 2018, we’ll be seeing fewer escape portals on the racks. Looks like you got more than you bargained for–HAHAHAHAHA! 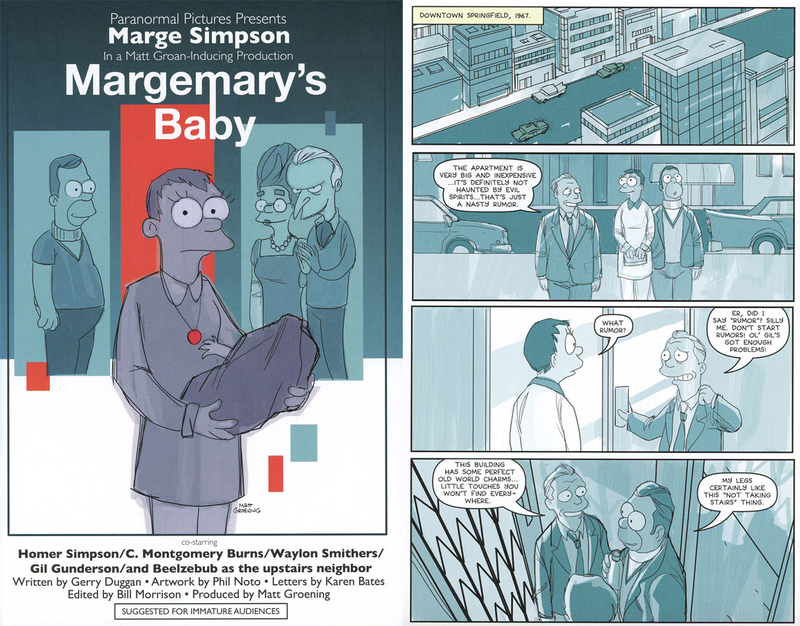 A couple months ago, at the monumental San Diego Comic-Con, Bongo’s Nathan Kane announced that after 25 years, the company Matt Groening started to publish Simpsons comics, would no longer produce any monthly books. Although they’d continue to handle other print projects, in a sense Bongo Comics would be no more. Whether it has something to do with the FOX-Disney merger, the hard times publishers are having overall, or just a decision to wind down The Simpsons empire a little, I can’t say. 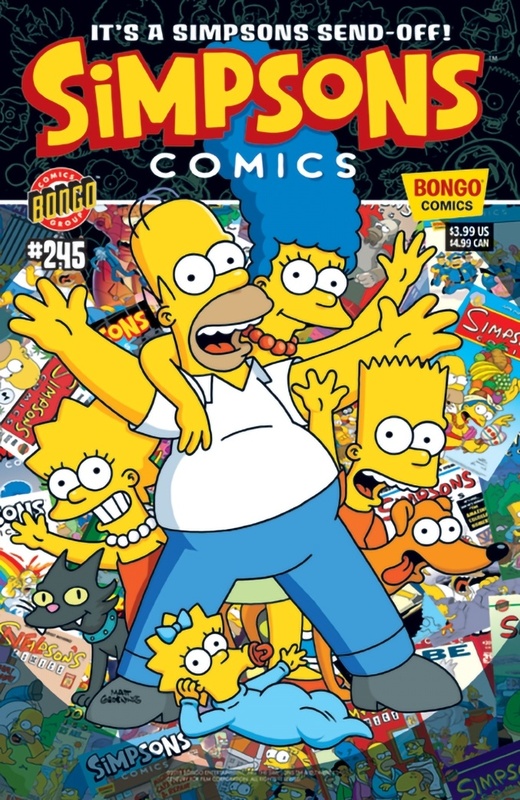 I know that the absence of Bongo will be felt by me, thousands of comics-lovers, Simpsons and Futurama fans, and the community of creators who’ve been telling top notch stories about America’s most famous animated family. 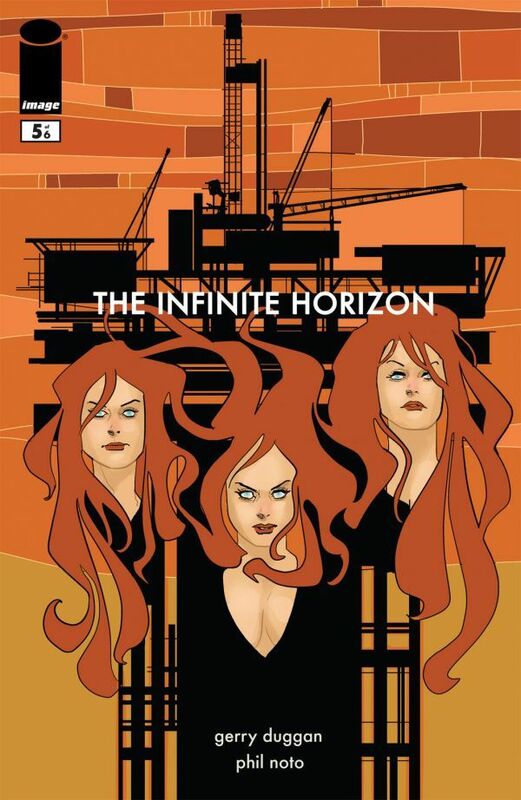 Bongo alumni Gail Simone perhaps said it best on twitter, collected here by ComicMix. I was sad too when I heard the news. I’ve been a comics reader and collector since I was 12 years old. As a dyslexic, I can honestly say that without comics I would be illiterate. I love Bongo comics because I know that no matter what’s on the shelves each Wednesday, I can always pick up their current issue and have a great time with it. In January of this year, Flim Springfield interviewed independent artist Nina Matsumoto, who got her professional break thanks to Bongo. With news of the closing, we decided to check in with her (and a whole bunch of other Bongo Alumni), to learn more about the company, its community, and legacy. In 1993, anything with a Simpsons logo on it was flying off store shelves, but there wasn’t all that much available—at least not much of quality. 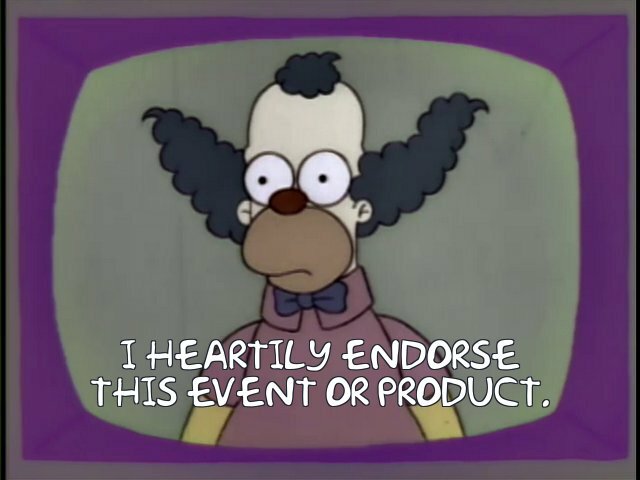 There were some basic action figures made by Mattel, trading cards, plush dolls, stickers and t-shirts, and bootleg junk so badly made the Krusty Seal of Approval wouldn’t even stick to it. Three years after The Simpsons became a hit TV series and national phenomenon, Groening (who wisely kept the publishing rights for himself) formed Bongo Comics with colleagues Bill Morrison, Cindy Vance, and Steve Vance. The 1990s were the best of times and the blurst of times for comics. Dozens of new publishers set up shop, building new universes full of musclebound heroes or updated versions of vintage creations. High profile companies like Topps Trading Cards and even Penthouse were pumping out superhero comics; most wouldn’t last. 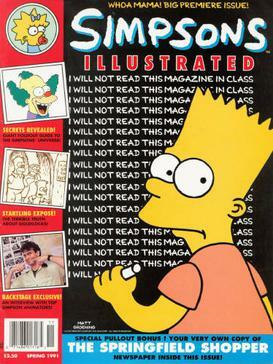 In 1991, even before the first proper Simpsons comic was published, the cast, creators, and characters appeared in a quarterly magazine. 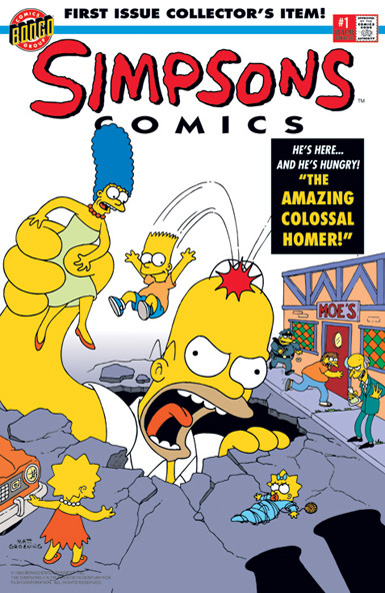 In November 1993, the magazine was superseded by the simply-titled “Simpsons Comics,” featuring the work of Tim Bavington, Morrison, Sondra Roy, Cindy Vance, and Steve Vance. 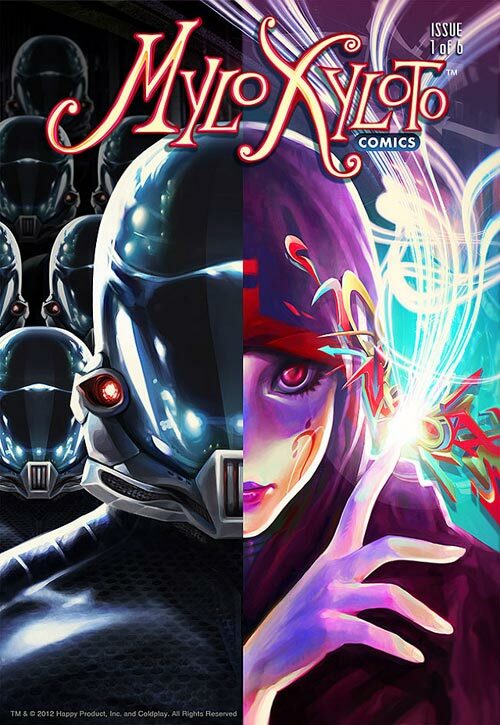 175 thousand copies were printed, and it became the 25th-highest selling comic in its debut month. 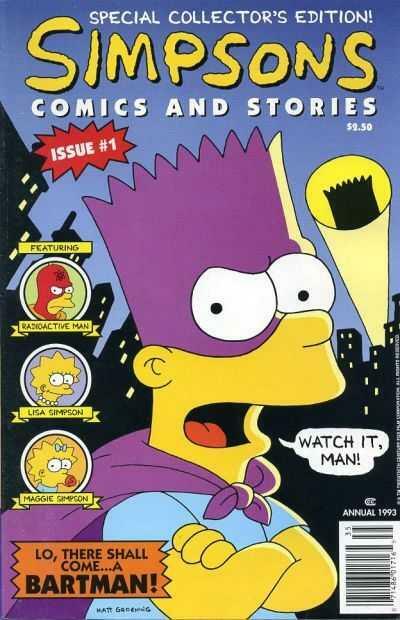 Books for “Radioactive Man,” “Itchy & Scratchy Comics,” and “Bartman” soon followed. 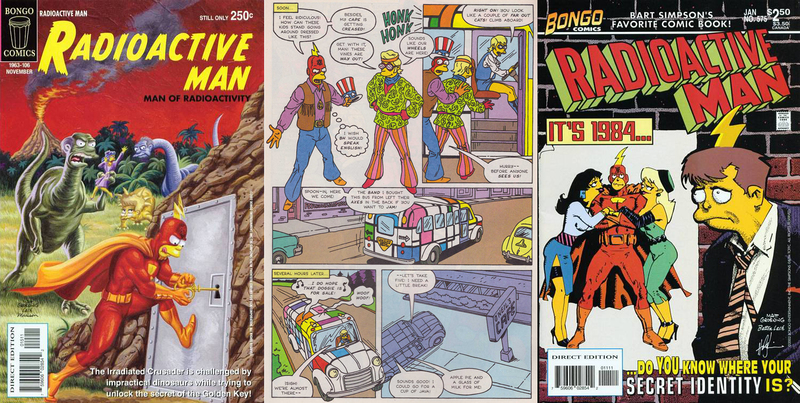 With those hitting shelves every 30 days, plus specialty market projects like calendars, episode guides, and the Simpsons Sunday newspaper strip, Bongo needed talent to write, draw, color, and edit the stories—in addition to all the comic production-savvy office staff needed to keep a business running smoothly. Bill Morrison: “I remember that every time we really got started on one of the four first issues that were scheduled to launch in November, some promotional need would come up and we would have to stop and work on a magazine cover or poster or something. Eventually we got behind on the actual comics and had to work very long hours to get them out on time. There were a few times when I took a sleeping bag to Steve and Cindy’s home studio and slept on their floor so we could keep cranking out the pages nearly around the clock. 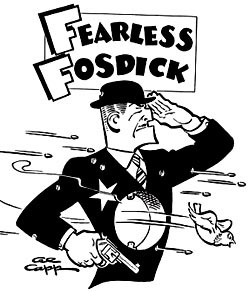 the first of many Eisner winning stories. Fortunately for the new company, to ease the workload there were friends and fresh applicants hungry for work. Some talented hands also came from the LA-based Simpsons production team at FOX who were between seasons and needed work; others came from far and wide. Batton Lash, creator of “Supernatural Law” (aka Wolff & Byrd): “I began my relationship with Bongo via Mimi Cruz, of Night Flight, a comics retailer in Salt Lake City. She recommended me to Bongo editor Bill Morrison, who then offered me the job. At first, I thought he was asking me to write The Simpsons! When I learned Bongo was giving Radioactive Man his own book, Bill wanted me to write it. I asked if I could do the layouts as well as the script. Bill was—and is—very accommodating. He said no problem. 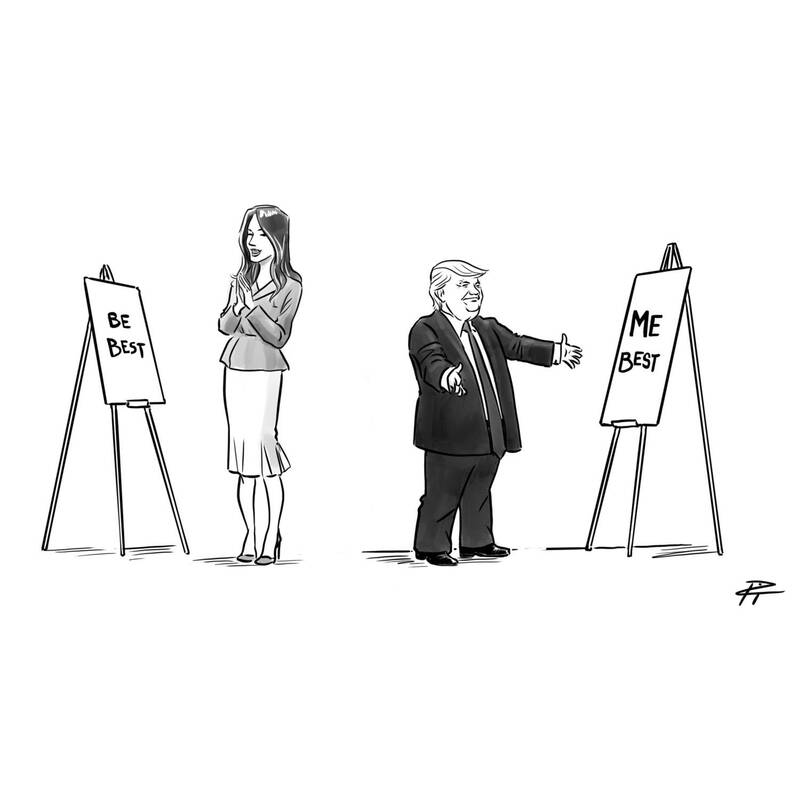 It’s not always easy to translate a cartoon into a comic. Daffy Duck’s sustained glare at Bugs Bunny creates great comedy tension in a cartoon, but in a comic book it can look like someone forgot to include the word balloon and is just wasting valuable page space. 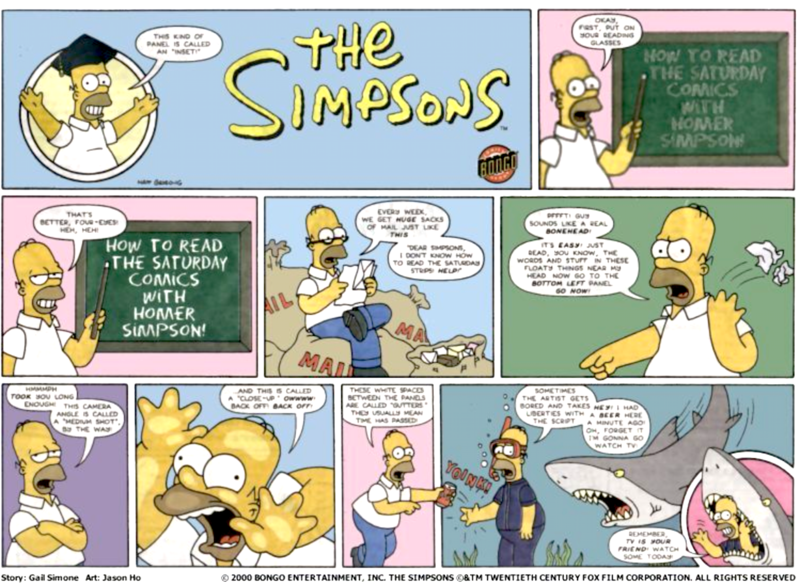 The creators working to translate Springfield’s idiosyncrasies had to be adept at not only making a good comic, but finding ways to make the characters’ distinct charms feel right. But in comics, there is more than one solution to a creative problem. And Bongo trusted the creators they worked with to strike the right tone in their stories. From an editorial point of view, Bongo created a supportive space. FOX didn’t have a say in what came from the company. If you were invited to Springfield, they let you run free. An epic collection for an epic story! 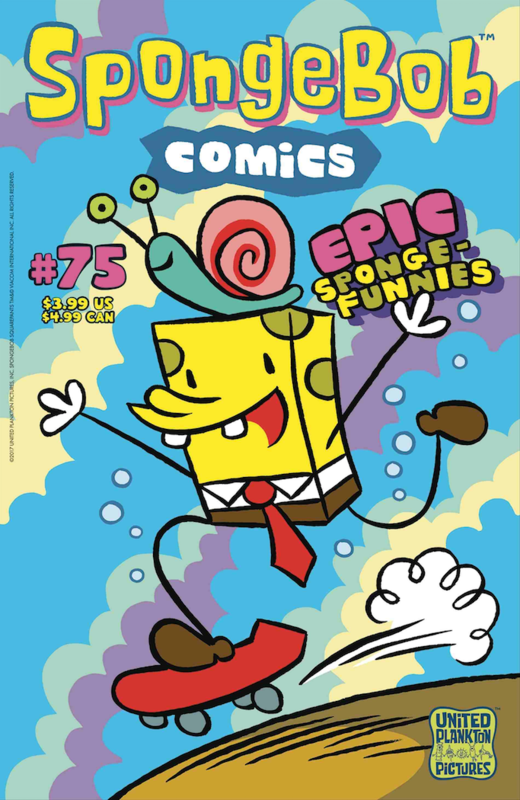 James Kochalka: “Because SpongeBob wasn’t ‘mine,’ a part of my brain just didn’t even care what the hell I drew happening. Which kind of freed me of all restraint, and allowed me to do surprising narrative U-turns. Bongo didn’t just hire comic veterans and undiscovered talent to tell new Simpsons stories, Groening wanted to give a stage to peers and other indie creators who’d influenced him. Under the banner of Zongo Comics, the company published stories by underground artist Gary Panter, and a self-titled book by Mary Fleener. Panter is called “the founder of punk art” by some, he made his mark creating album art, zines, and concert posters in the same 1980s LA punk scene that helped nurture Groening. He’s probably best known as the set designer for Pee Wee’s Playhouse. Despite his indelible influence, the seven issues of “Jimbo” published by Zongo were probably the most widely available comics work available from Panter in 1995. Mary Fleener may be even more of an iconoclast than Panter, she’s been at the vanguard of autobiographical comics since starting to publish in the 1970s underground. Across a variety of outlets, Fleener has chronicled experiences within her community, hometown politics, counterculture music from the Grateful Dead to the Ramones, and has crusaded for personal issues. Her style is reminiscent of cubism and mostly presented in stark black and white. Her point of view is individual but universal, and often anchored by her experiences as a woman. 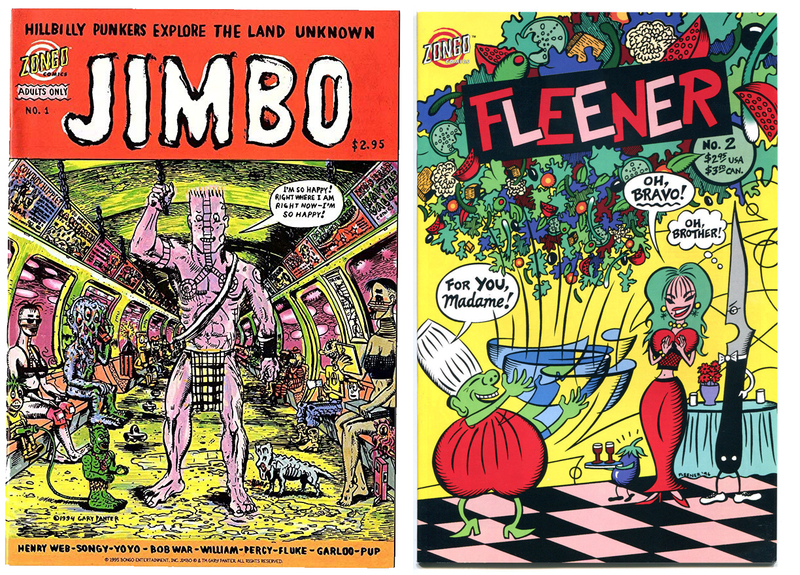 She’s part of the legendary “Wimmen’s Comix” and “Weirdo” roll call, so the three issues of “Fleener” published by Zongo are just a small part of her resume, but they well illustrate the commitment to talent Bongo worked to represent. 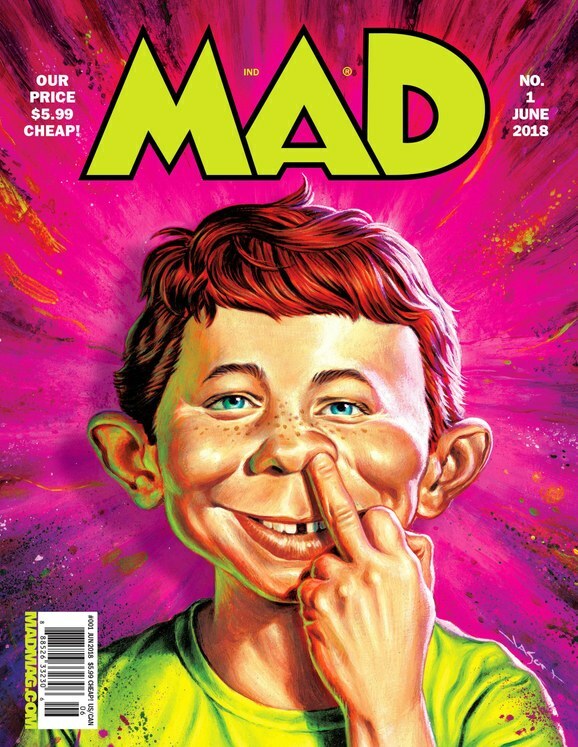 I can’t think of another mainstream comic company releasing such audacious work, but that’s why people become publishers: to do what they want, and have fun with it. Fun is what Bongo specialized in. In addition to the Zongo line, they published original series and passion projects by the artists and writers who contributed to their Simpsons books, comics legends, and in one surprising case, a tie-in from the top of the music charts. 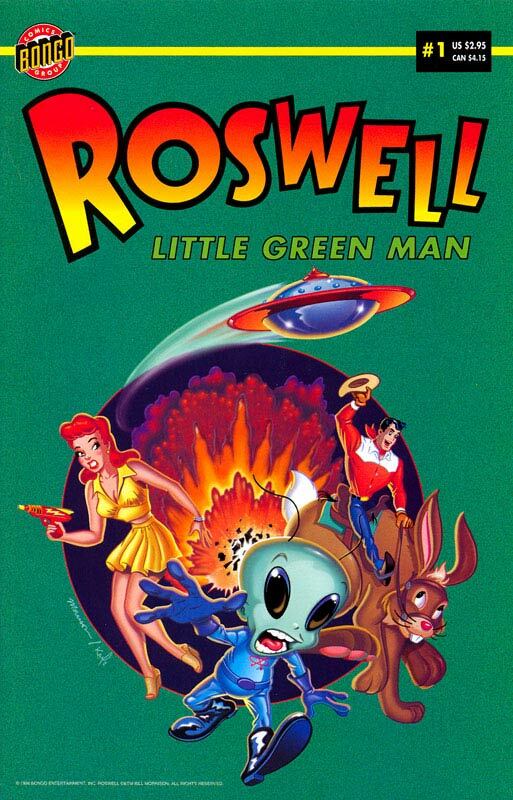 In 1996 Bongo’s Creative Director treated himself to “Roswell: Little Green Man,” a retro sci-fi title that ran twice annually—between Simpsons deadlines—for 6 issues. 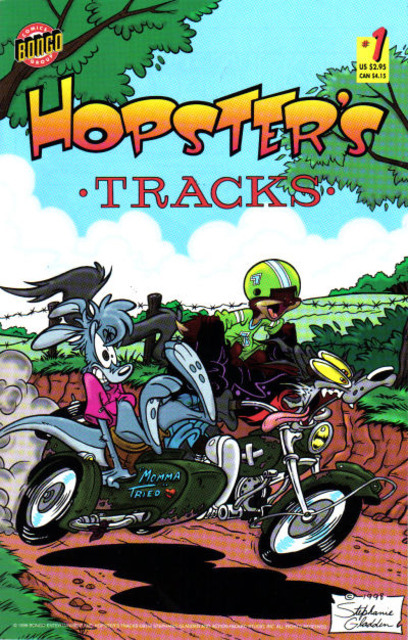 1998 saw two issues of “Hopster’s Tracks.” a classic funny animal book by writer/artist Stephanie Gladden, who drew early Simpsons comics and has since gone on to work for Cartoon Network and get a Harvey nomination for illustrating Paul Dini’s Jingle Bell. She also writes and draws her own webcomic, “Girls of Monster Paradise,” when not busy with all that other work. 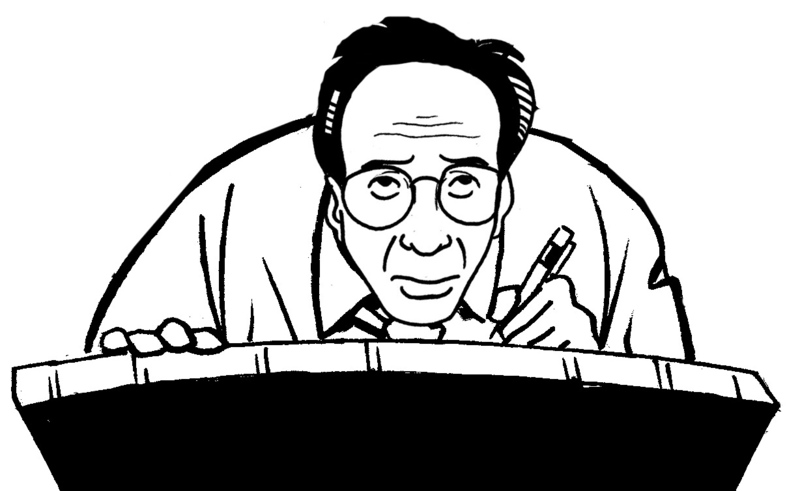 Bongo editorial assistant Scott M. Gimple co-created 2003’s six-issue series “Heroes Anonymous,” based on Morrison’s original concept, which was drawn by a bevy of Bongo colleagues¹. Gimple is now the showrunner as well as a producer and scriptwriter for the Walking Dead TV series. 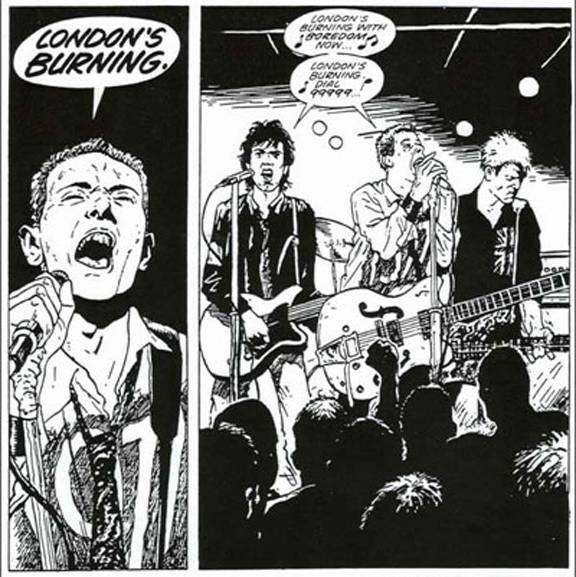 Probably one of the most unusual and well known non-Simpsons books Bongo published was “Mylo Xyloto Comics,” a tie-in to a concept album by the band Coldplay. It was written by Mark Osborne, director of 2016’s stylish “The Little Prince,” Weird Al’s claymation Jurassic Park music video, and the live action parts of the SpongeBob Squarepants movie. Steve Hamaker, who previously handled the first colored editions of Jeff Smith’s “Bone” and later won an Eisner for “Rasl,” provided colors for the book: “That project was one of the first coloring jobs after my full-time work with Jeff Smith had ended, so I had to keep on schedule and try to hit all of my deadlines. Mark became a close friend, personally and professionally, and I wouldn’t have that without Mylo Xyloto, Coldplay, Jeff Smith, or Bongo Comics. 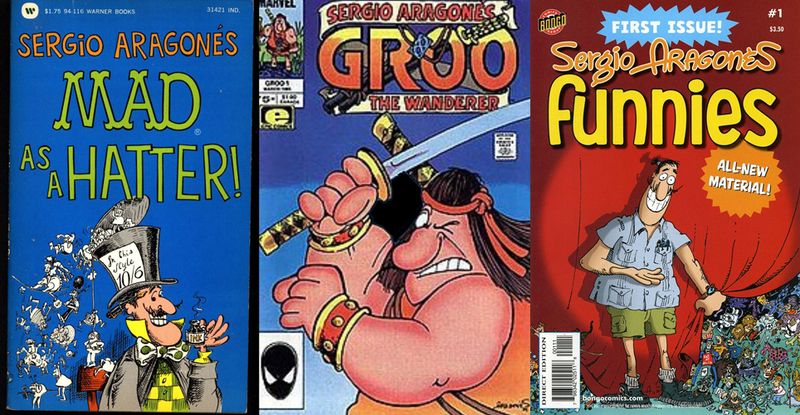 A personal favorite Bongo series of mine was the 12 issues worth of “Sergio Aragonés Funnies,” a delightful one-man anthology by the legendary MAD Magazine artist and creator of GROO the Wanderer. Each issue was a mix of autobiographic stories, gag strips, and puzzle pages, the kind of book that is full of simple pleasures and invites rereading. Bongo would occasionally take the characters into places TV couldn’t or wouldn’t. The Simpson family regularly revisited their superhero alter-egos, delved into the world-within-a-world of Radioactive Man, and famously crossed-over with Futurama years before the TV series. This year, readers even got to see the return of beloved villain Hank Scorpio. 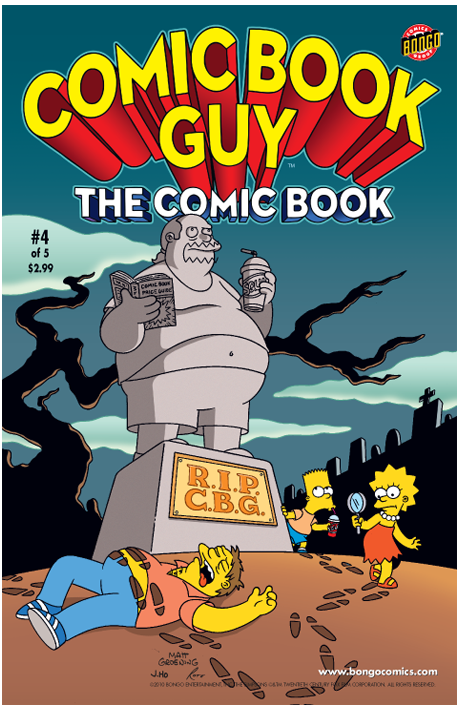 Ian Boothby also did the miniseries “Comic Book Guy: The Comic Book” aka “The Death of Comic Book Guy,” parodying the sales-goosing trend of killing off and reviving comic book characters for media attention and profit. Not spy vs spy, but money vs money. 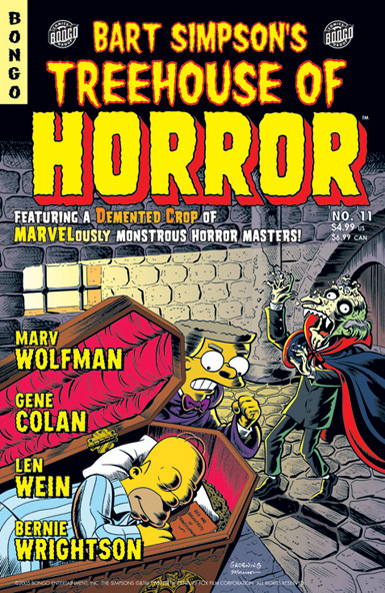 One longtime Simpsons tradition is the annual Treehouse of Horror episode featuring censor-pushing frights and parodies of classic monster tales. 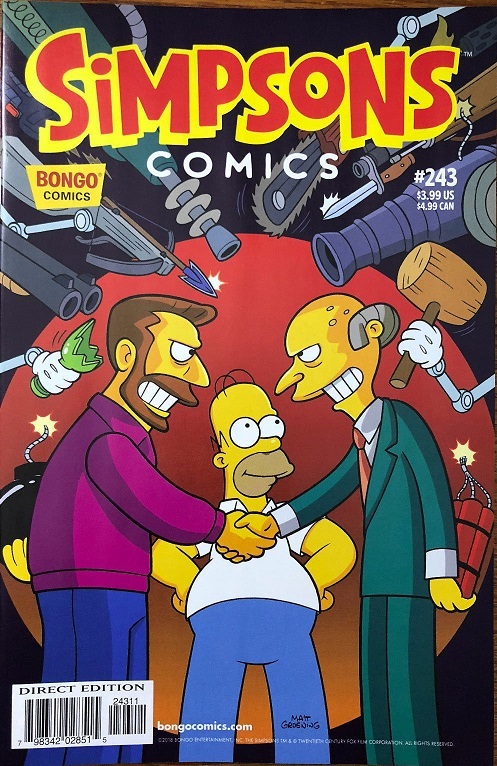 Bongo’s annual print version went even further, creating some of the most out-there, fun, and wild stories by inviting a slate of top-notch guest creators to warp Springfield to their horrific desires. Sadly, there won’t be a final edition for 2018, but grab some of the previous years; they’re all great! Including work by Bonham, Steve Ringgenberg, Lloyd, Steve Steere, Angelo Torres, John Severin, Mark Schultz, Al Williamson, Marv Wolfman, Gene Colan, Len Wein, and Bernie Wrightson! One of the more atmospheric stories was Duggan’s “Rosemary’s Baby” parody with artist Phil Noto in the 2012 annual. It’s like Where’s Waldo gone mad! The all new Gang of Idiots! I asked Morrison if he took anything from Bongo to his other work: “Only everything. I’m sure I wouldn’t have my job at MAD if not for all the knowledge and experience I got from working with Matt at Bongo.” All the creators who spent time at Bongo comics honed their storytelling skills, and took those tools back to their own work. James Lloyd, the artist in his natural ink speckled state. What I heard repeatedly while talking to the artists and writers was what a supportive creative environment the publisher was. The company helped make comics happen that otherwise wouldn’t, they welcomed new people and mentored them properly so they could grow and keep advancing in their careers. That many of them continue to work together outside Bongo is a testament to what a great company it is. Bill Morrison: “Yes, I collaborated with Bongo’s current Creative Director Nathan Kane, and artists Andrew Pepoy and Tone Rodriguez on my Beatles Yellow Submarine graphic novel. Andrew and Tone inked most of the book and Nathan provided all the beautiful colors. Ian Boothby is also writing regularly for MAD. Nina Matsumoto: “Before Bongo Comics, I seriously thought women couldn’t work in American comics. I grew up on manga and, of course, I saw many female creators in there. I was also into newspaper strips, where I also saw female names. But I never saw them in American floppy comics, so I just assumed that for whatever reason, women couldn’t work in that industry. I thought that if I were to work in comics, I’d have to either be a manga artist or draw newspaper comic strips. That is, until I bought a one-shot called ‘Lisa Comics’ #1 in 1995. Lisa was my favourite character, so naturally, I had to get it. At the back of that issue, there was an interview with a female intern at Bongo Comics. A woman! Working for Bongo! She wasn’t even an artist or a writer, but it still blew my mind. I didn’t think it was possible. 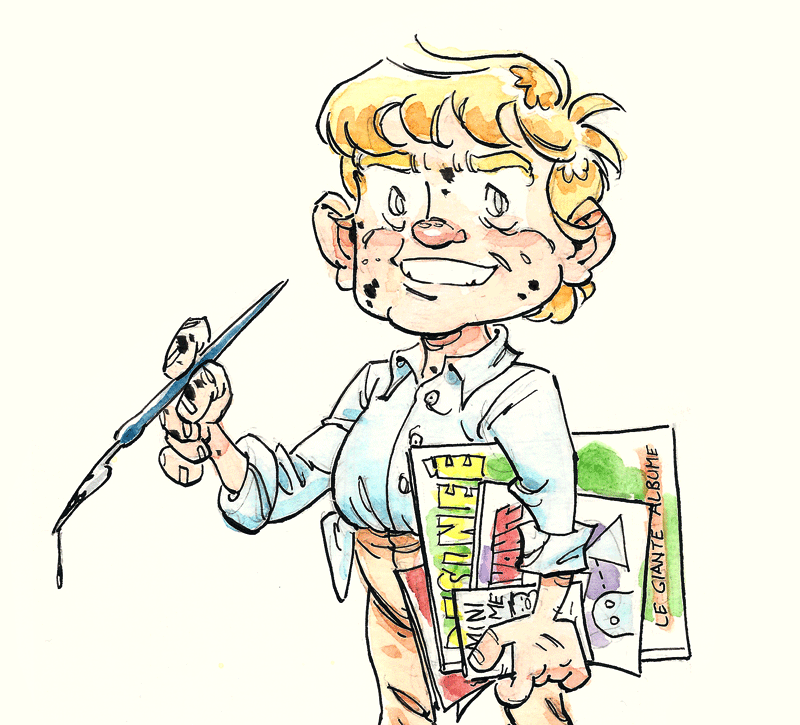 It made 10-year-old me realize that this industry DOES hire women, and I COULD work in comics. 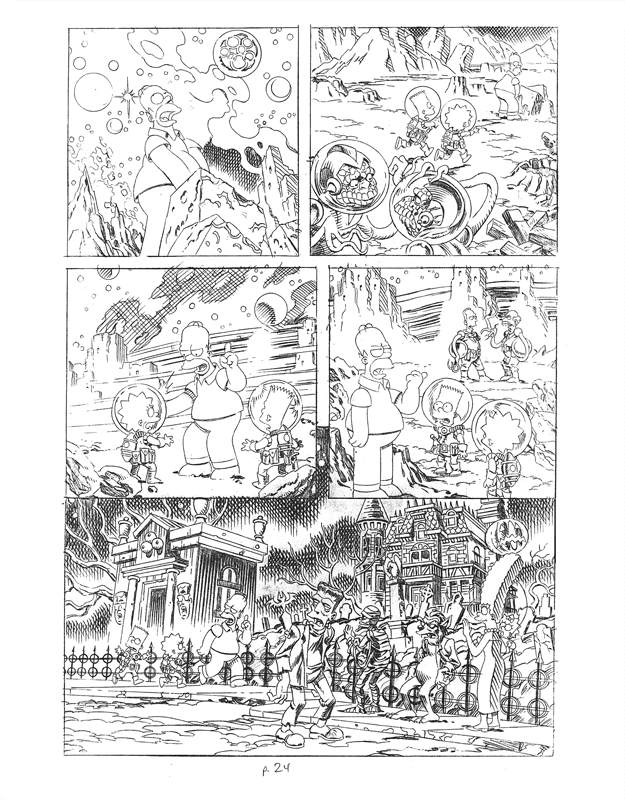 “In January of 2007 — discovered through a piece of fanart that went viral — I was hired to draw a manga-style Simpsons story (‘Too Crazy Juvenile Prankster: Bartomu!’) by Nathan Kane, the art director at the time for Bongo. I had no previous experience being published, but he trusted in my abilities based on my webcomic. 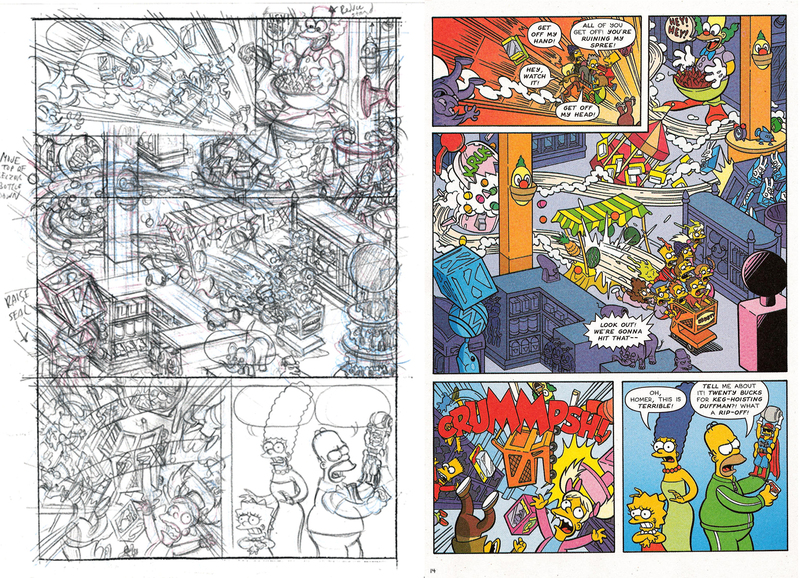 After I finished that story (my first art job ever), I was hired to pencil stories in their house style, a skill I had honed over several years of drawing fanart of The Simpsons. For fans of comics, The Simpsons, or Futurama, getting a monthly dose of humor is a great way to treat ourselves. For the creators of those comics, the rewards (beyond those well-earned paychecks) were something different: validation of their work. pencil art by James Lloyd, and finished art. 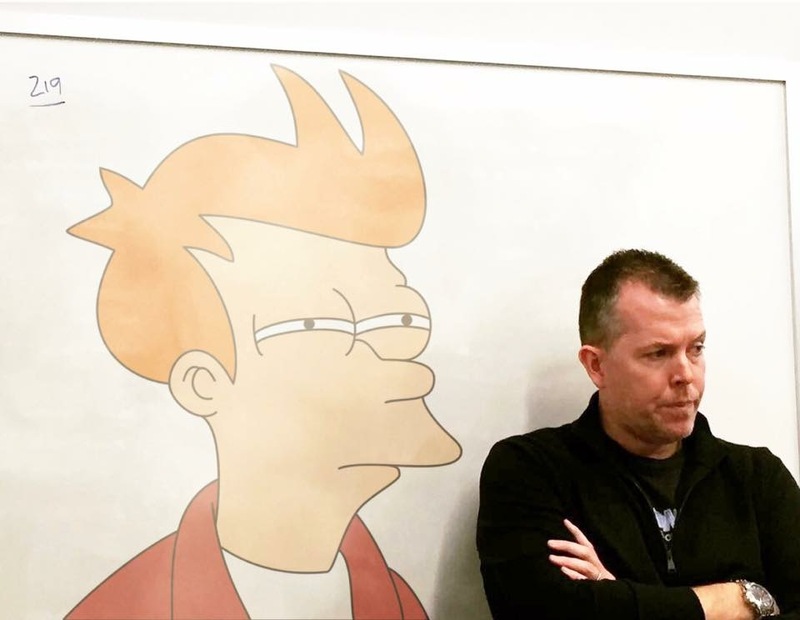 Bongo Comics may be no more, but like The Simpsons, Futurama, and SpongeBob Squarepants, the characters and their stories will continue to have a lasting impact on fans and the industry where they were created. In comics, no story is ever truly done or lost. Back issue racks will hold Bongo books for years to come, they’ll remain available on the Simpsons Store and Futuramaland apps, and passed around between friends and family, they’ll keep kids entertained on long car rides and over summer vacations, always just an arm’s reach away to help stave off boredom. 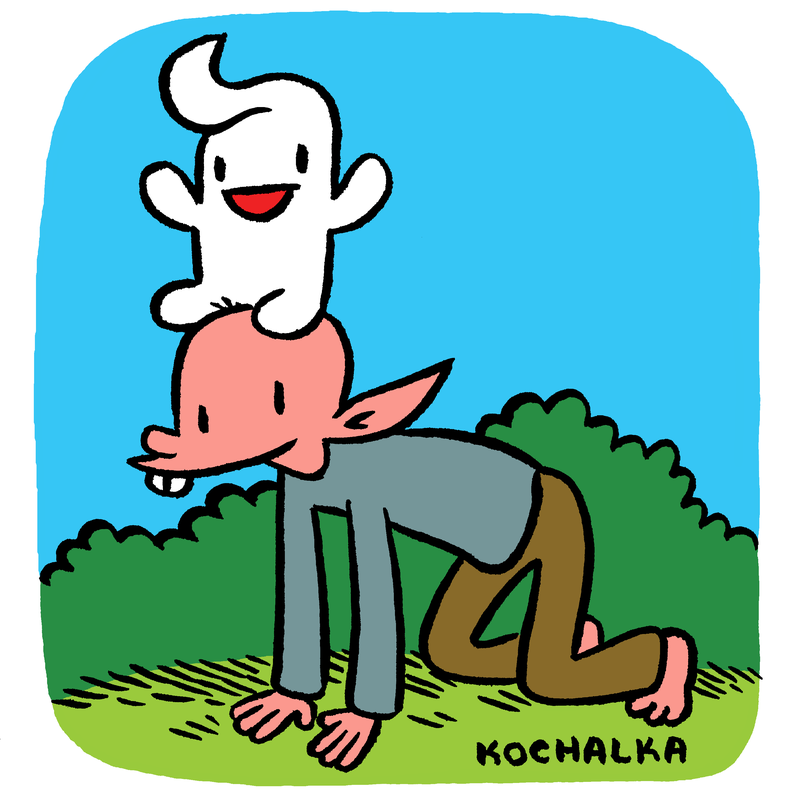 My personal hope that as the family of Bongo creators go on to their next assignments and their own work, that they continue the legacy of supporting new creators, and that fans of their comics remember the people who created them and keep looking for those names every Wednesday. I want to thank everyone who sent replies to me for this piece for their time. I’m sorry I couldn’t include everything. We’ll close with the words of Nina Matsumoto, who I think sums up what makes Bongo Comics so special. ¹Clarification courtesy of Bill Morrison: I had the original concept of a support group for super heroes, and I shared the idea with Scott who expressed interest in helping me develop it. We each created different characters and wrote scripts. The Gay Avenger was my original creation, but Scott fleshed out his origin story in the script he wrote for the second issue. Beelzubella was another of my creations, and I wrote the script for her story in issue #5. Scott created some of the other characters with my input, more as an editor. I also did original character designs that we passed on to the artists. It was very collaborative. *Interviews and quotes have been lightly edited for clarity. Additional editing by Diana Welsch. 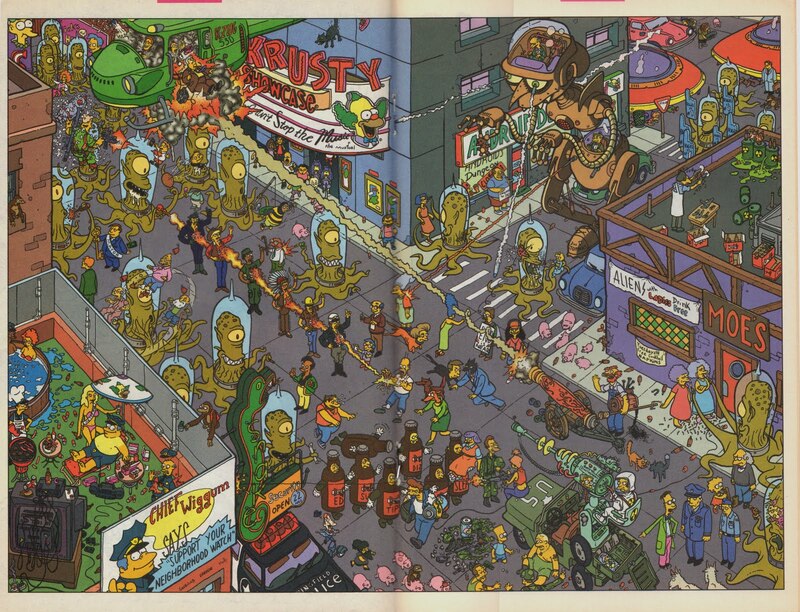 Simpsons and Futurama artwork © Bongo Entertainment, Inc. and Matt Groening Productions. All other works are property of their creators or corporate entities were applicable. 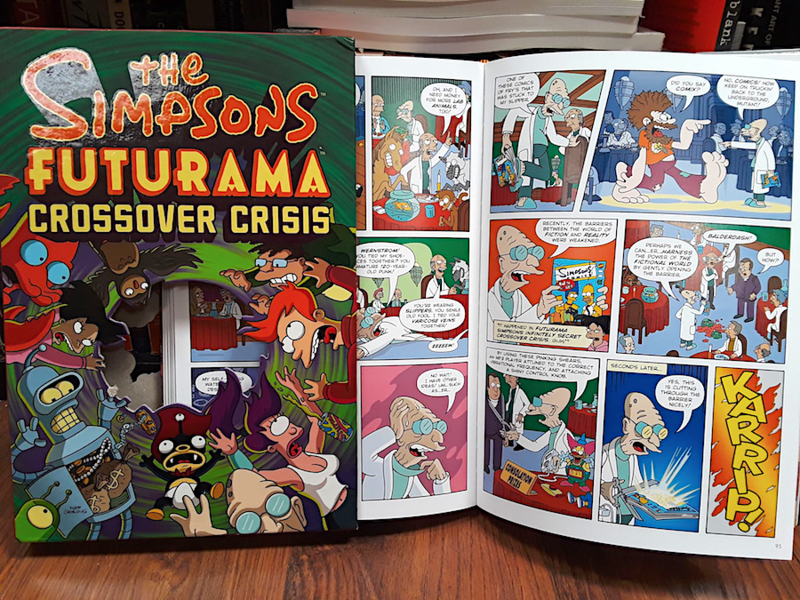 This entry was posted in comic books, Cultural Impact, interview, Matt Groening, The Simpsons and tagged batton lash, bill morrison, bongo comics, futurama, gail simone, gary panter, geof darrow, ian boothby, james kochalka, James Lloyd, jerry duggan, jimbo, mary fleener, Phil noto, pia Guerra, Radioactive Man, sergio aragones, spongebob squarepants, Steve Hamaker, zongo comics. Bookmark the permalink. Digital comics are not on comixology. 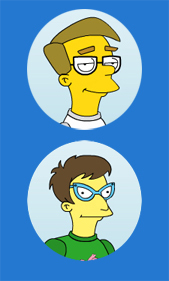 You can find them on their own apps, Simpsons Store and Futuramaland, both on iTunes and google play. thanks for the correction Pete! This was wonderful. Thank you!